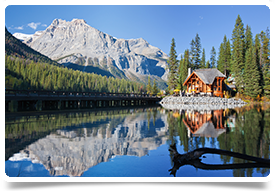 Anaesthesiologist opportunities – enjoy a rewarding career in caring communities with spectacular scenery and unlimited leisure activities; the southern interior of BC is the perfect place to advance your career. Our client is recruiting experienced Anaesthesiologists to join their dedicated teams in several of its communities across British Columbia. As an Anaesthesiologist you will work as part of a team, alongside surgeons, nurses, and anaesthesia assistants dedicated to deliver the best patient care through the practice of Anaesthesiology. As an integral member of the Department of Anaesthesia, your participation and leadership will contribute to the improvement of anaesthesia and pain management. They are proud to be actively involved in collaboration with the University of British Columbia’s Southern Medical Program and you will have the opportunity to make an impact in education and research provided through this affiliation. You will provide a range of anaesthesia services to people across the Southern Interior of British Columbia. You will help patients through their most critical times, before surgery, during procedures, and in post-procedure care. The Anaesthesiologists often provide services for a wide range of surgical and diagnostic procedures including General Surgery, Orthopaedic Surgery, Neurosurgery, Vascular Surgery, Obstetrics and Gynaecology, ENT (ears, nose, and throat), Plastic Surgery, Urology, and Multiple Trauma, for paediatric and adult patients. Kamloops is a vibrant city of 90,000 set on a vast and rugged landscape of sandstone canyons, grasslands and evergreen timberlands. Famous for it’s hospitality and known as the Tournament Capital of Canada, Kamloops offers all the amenities of a big city; first class accommodations and dining, a lively downtown district, modern shops and a full range of businesses and wonderful recreation facilities. Vernon’s small city charm blends with its year-round cultural events, festivals and celebrations. Whether it’s a morning on the greens or a day on a lake, this is the place to come where you become the hero of your own story. Grab your bike, friends and family and enjoy the sweet smell of the outdoors as you explore. Cranbrook is a thriving city located in the south eastern corner of BC, in the middle of the broad Rocky Mountain Trench with a population of about 20,000 and a surrounding catchment population of approximately 26,000. Nestled on a gentle plain with scenic mountain vistas in the distance, it is an ideal location to live, work and play. other opportunities contact Annie today.